The Vulcano Messina ferry route connects Aeolian Islands with Sicily. 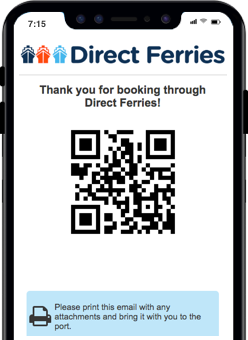 Currently there is just the 1 ferry company operating this ferry service, Liberty Lines Fast Ferries. The crossing operates up to 21 times each week with sailing durations from around 1 hour 25 minutes. Vulcano Messina sailing durations and frequency may vary from season to season so we’d advise doing a live check to get the most up to date information. The small Italian volcanic island of Vulcano lies in the Tyrrhenian Sea and is around 25 km to the north of Sicily, and is the most southerly of the eight islands that make up the Aeolian Islands. The island is only around 21 sq. km and its highest point is just under 500 m above sea level. There are a number of volcanos on the island, and includes one of four active, non-submarine, volcanoes in Italy. The most recent volcanic activity is the Gran Cratere at the top of the Fossa cone, the cone having grown in the Lentia Caldera in the middle of the island, and has had at least 9 major eruptions in the last 6,000 years. However, the island's volcanoes have been quiet since around 1890 when Fossa erupted and deposited around 5 meters of pyroclastic material on the summit. The island is also famous for its hot springs which are located a short walk from the harbour. For the brave, visitors are able to walk to the crater of a volcano where you can observe smoke coming out of the ground! 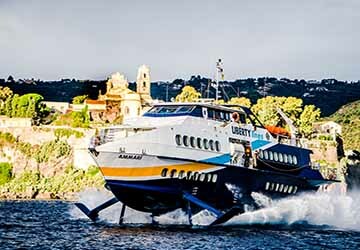 Hydrofoil and ferry services connect Vulcano to the other Aeolian Islands and to Sicily and the mainland. Access from Milazzo in Sicily is convenient, as Vulcano is the boat's first stop from there as they continue to the other islands.